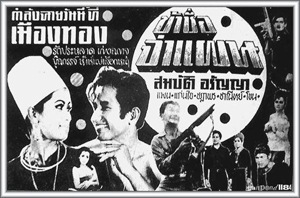 This Chanee Yotchai movie page contains 11 records. 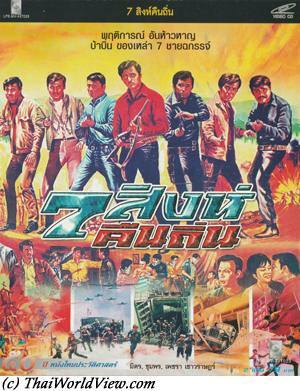 Thai movie 7 สิงห์คืนถิ่น was released in year 1970. Saeng Rawee (แสงระวี)(Metta Roongrat), young lady, just weds with Sing's father but she still tries to seduce the son Sing (สิงห์) (Mitr Chaibancha). The father blames his son (ลูกอกตัญญู) and decides to break the relationship with him (เลิกเป็นลูกพ่อกัน). 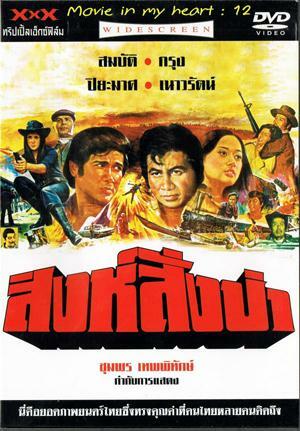 Saeng Rawee has another lover called Kam Maen (คำแมน), who is the local ruffians leader (ดินแดนอิทธิพล). Seua (เสือ)(สมชาย ศรีภูมิ) is Sing's younger brother and becomes a bad guy under Kam Maen's guidance. Finally the father dies and legates everything to Sing. Saeng Rawee and Kam Maen try everything to destroy the testament (พินัยกรรม). Ruffians ask for the testament from doctor Phan. As he fights back he is shot dead and his wife is kidnapped. 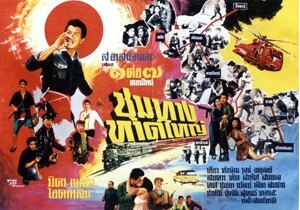 Phum Reun (ภุมริน), a friend, informs Sing regarding the latest news regarding his father's death, the doctor death and his young brother becoming a bad guy (โจร). 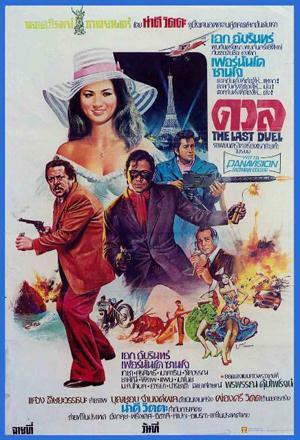 Doctor (หมอ) Phan was his friend so Sing needs to go home to investigate who killed him. Sing gathers 7 friends to fight back against Kam Maen. 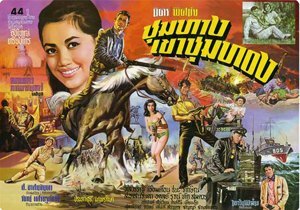 One of them is Dokrak (ดอกรัก)(Choomporn Theppitak). 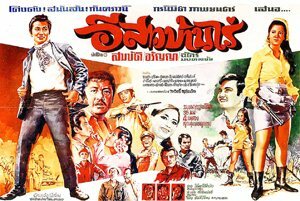 Doktoi (ดอกเตย), owner of a local bar, recruits Dokrak, good singer, as he protects her versus ruffians led by Chanee Yotchai. Doktoi is Kam Maen's minor wife but there is no real love so she provides useful information to Dokrak. Sing and his friends prepare a plan. Seua, Sing's young brother, drinks heavily. Sing wants to bring him back to the right path (สายเลือดเดียวกัน). 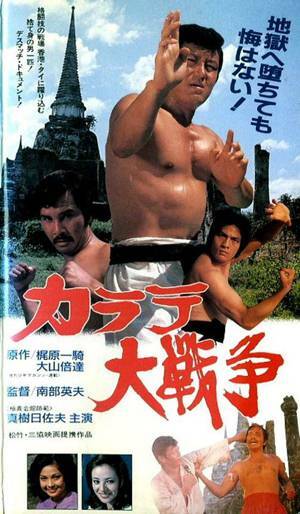 The two brothers fight as Sing doesn't want his brother Seua to become a bad guy. Ruffians would like to get the whole money so push the two brothers against each other. Sing meets Thaephee (Petchara Chaowara), who is a teacher inside the village. Sing's team eliminates one ruffians team. But Sing is then kidnapped. Seua plans to help his brother by exchanging Sing versus Kam Maen's daughter Vick. 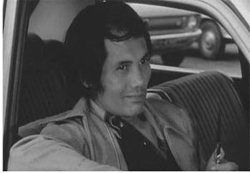 Kam Maen sells weapons and bombs to reds insurrection in order to use for rebellion against Thai government. He is a traitor (ขายชาติ). Kam Maen needs the testament to get more money to buy weapons. He tortures Sing to know the truth. Thae Phee is ready to everything (ยอมเป็นเมีย) to avoid Sing to become blind. But hopefully his friends can help and free him. 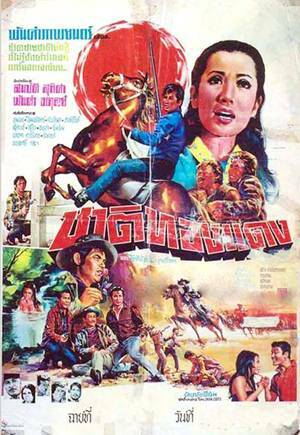 The movie finishes with various shootings in which Sing's friends die, Seua dies and Sarawee dies by saving Sing's life against Kam Maen. Villagers are fighting against the traitors and the Thai flag is shown as the final image. 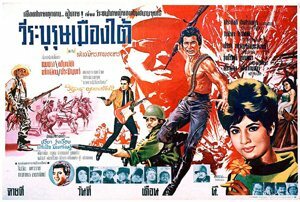 The reds menace was present during decade 1960s in Northeastern region of Thailand. So such films were part of governmental propaganda. The movie is more than 2 hours and 20 minutes long. Some parts of the movie are missing and have been cut. Either they were in bad condition or Lepso Studio has to cut the movie to fit into a limited VCD format. There is no more original soundtrack as it is a 16mm movie. It is too bad as original songs are lost. Movie colors are wiped out.